We are talking about the Bollywood hero, Varun Dhawan, who is linked to many girls before. Despite all those rumors, he maintains a stable relationship with a girl. She is none other than Natasha Dalal, a fashion designer by profession, whose designer line is worn by such celebrities as Alia Bhatt and Soha Ali Khan. 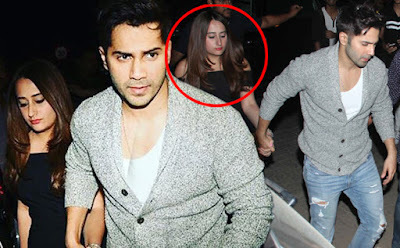 Another day at the birthday party of the hero Shahid Kapoor, who was greeted by his wife Mira Rajput, the young hero Varun has appeared with his GF by the hand. A long time ago, Varun and Natasha are keeping a secret about their relationship, but these pictures speak everything.